Achieve the look of crystal without the high cost! 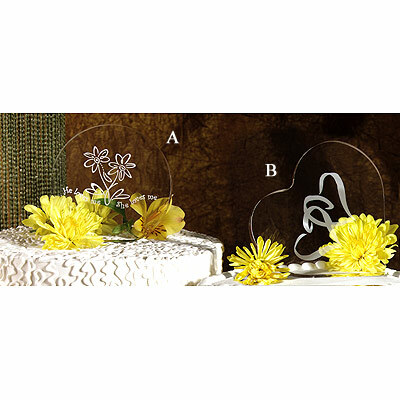 These lightweight, acrylic cake tops are engraved with fresh designs to accent your wedding cake in contemporary style. Round Daisy - The 4" diameter round cake top is engraved with a pair of daisies and the words, "He loves me. She loves me."